Bradley Revit technical support content on this page, is referenced from several documented sources. Bradley Revit-BIM Technical Support: Design, construction and owner calls, emails and blog comments provide regular technical support inquiries. 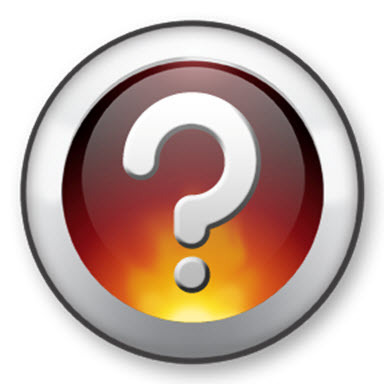 Links to the answers to the most common Revit family questions are posted below. Revit-BIM Best Practices / Industry Standards utilized by the Bradley BIM Team for the creation of The Bradley Revit Family Component Library. 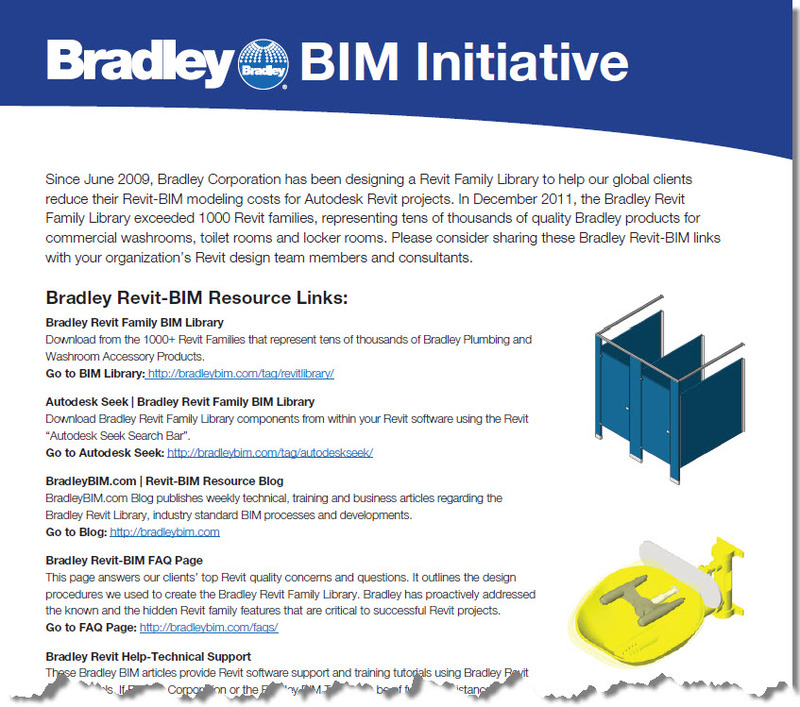 Download the single-page Bradley Revit-BIM Resource Links Handout to take full advantage of ALL the Bradley BIM online resources. 01) What design criteria has Bradley used for creating the Bradley Revit family components? 02) How does Bradley test Revit family components' dimensional accuracy and family types' stability for Revit project files? 03) What levels of detail are modeled into Bradley Revit family components? 04) What versions of Revit does the Bradley Revit Library support? Bradley Revit models were originally created and saved in Revit 2009. However, they are now typically 2012 and 2013 format. They have been tested for use in both Revit Architecture and Revit MEP. 05) Why does my Bradley Revit Family File (RFA) download with a TXT File? How do I use this file? How do I load a Revit Family that has a Revit Catalog? 06) How can I fix the "File Name or File Path Is Too Long" error message when I download and try to extract a Family Download from the Bradley Revit Library? An Easy Fix for the Revit Family Download-Extract Error Message – "File Name or File Path Is Too Long"
07) I am using Revit 2012; how can I use the Bradley Revit Families that are currently saved as Revit 2009? 08) How do I insert a Bradley Revit Face-based Family into my Revit Project? 09) Which factor impacts the performance of my Revit project, Revit family file size or Revit family visibility settings? 10) I am concerned about using large Revit family file sizes within my Revit projects. How does Bradley Revit family file sizes address my concern? Your Revit Family File Size is Too Big | How Big is TOO BIG? 11. I loaded & placed a Bradley Revit family in my Revit project. When I open the Bradley Revit Family File (RFA); I saw more items than what appear in my Revit project file (RVT). Why does the Revit family file look so different? 12) Can I schedule and tag Bradley Revit families? Here's How to Review and Revise That Revit Family’s Category Designation. 1. How are plumbing connections configured inside the Bradley Revit plumbing fixtures? 2. How do I find and download the Bradley Revit Material Library Catalogs?